(NEW YORK) — Hundreds of relatives of 9/11 victims gathered in downtown Manhattan Tuesday as they do on every anniversary of the attacks. In an emotional Facebook post on the Fire Department of New York’s page, Battalion Chief Joseph Downey noted the decision by 82 task force members to go into the face of danger on the anniversary of the attacks. 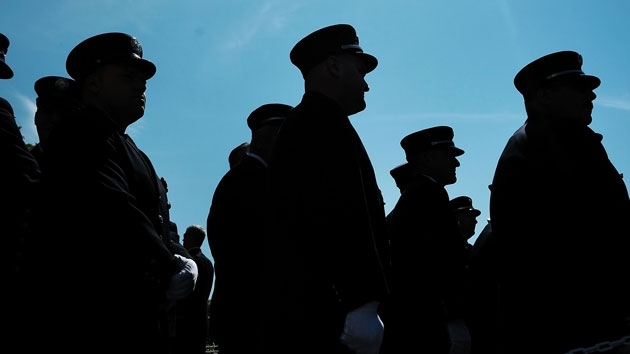 Downey, whose father, Deputy Chief Ray Downey, was killed on 9/11, said that for him and his team, the decision to go south serves as something of a “remembrance” for the first responders who died in the attacks. “I think it’s important that we carry on their legacy,” Downey wrote in the Facebook post. “It’s a tough day but it’s symbolic of what we do here in the city. “A lot of people came in on 9/11 to help us out, and we’ve done it the last couple of years, going to other places and helping them out. Everybody is excited, it’s a somber day but we have to look at it as we’re doing the right thing for those we lost and our loved ones. We’re first responders. Whether we’re Fire or PD, we’re always there to help people in the city, or somewhere else,” he wrote in the Facebook post. The group, called USAR New York Task Force 1, is trained in urban search and rescue, disaster recovery, and some members have specialized water and boat operator training. The group is being overseen by the U.S. Federal Emergency Management Agency (FEMA) and has done similar emergency response missions in other natural disasters like Hurricanes Katrina, Matthew, Harvey, Irma and Maria.